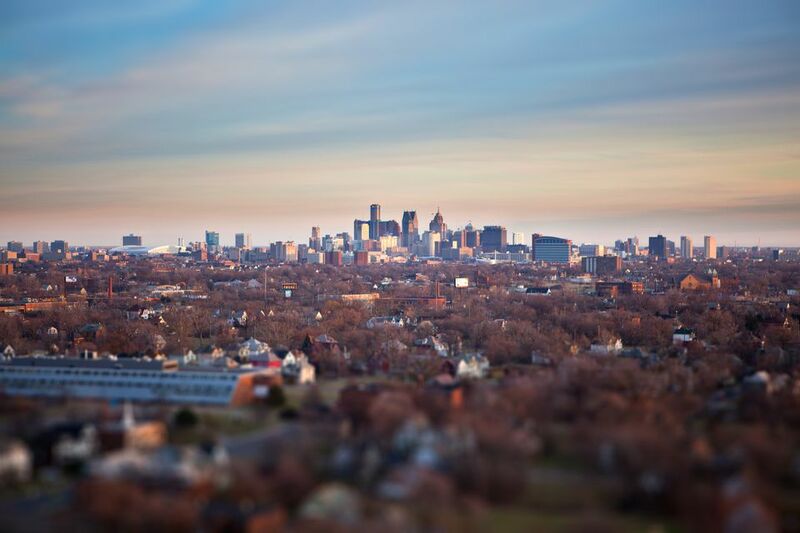 When visiting Detroit, you may want to listen to your favorite music. Fans of classic rock, soft rock, and today's top hits will find what they want to listen to. Detroit listeners can tune into several regional radio stations with rock programming. Some of these rock radio outlets are located in Detroit, while others find their way to Metro Detroit from Ohio and Canada. On air for more than 40 years, WCSX or "Detroit's Classic Rock" is the most popular rock radio station in the Detroit region. Owned by the Beasley Broadcast Group, listeners can tune into the "Big Jim's House" weekdays from 6 a.m. to 10 a.m., while DJ Dahmer hosts the weekday afternoon show and plays songs by Led Zeppelin, AC/DC, the Eagles, and more. WRIF's motto is "Everything That Rocks" because the station plays local rock, hip-hop, and classics from the likes of Halestorm, Alice in Chains, Aerosmith, and The Offspring. Originally a 24/7 ​live stream, Dave & Chuck "the Freak" took over the morning show, while Screamin' Scott is there to rock out your nights. Located out of Southfield, Michigan, WOMC plays "Detroit's Greatest Hits." If you like a variety of music, you'll want to tune into this Entercom-owned station, which broadcasts everything from Marvin Gaye to The Rolling Stones. In the weekday afternoons, on-air personality Beau Daniels takes over. Based out of Toledo, Ohio, WIOT may be "Toledo's Rock" station, but it is broadcasted to Detroit, where it is a local favorite. The iHeart Media-owned station is especially popular for its nationally syndicated The Bob & Tom Show in the mornings. Cool FM can be found on not one but two stations, both broadcasted from Ontario, Canada. This ​Blackburn Media station focuses on soft rock but it is known to "Play It All," as its slogan says. Tune in for the "Cool Ride Home with Dave Lockbaum" show to listen to Tom Petty, Van Halen, and Pearl Jam.